Land Rovers and Defenders lined up for Poole’s Quay for my Car on Friday 7 July 2017, kicking off the two festival on Poole Quay. Two months of car joy kicked off on Friday 7 July whey Quay for my Car returned to the Quay in Poole with a night dedicated to Land Rovers and Defenders. 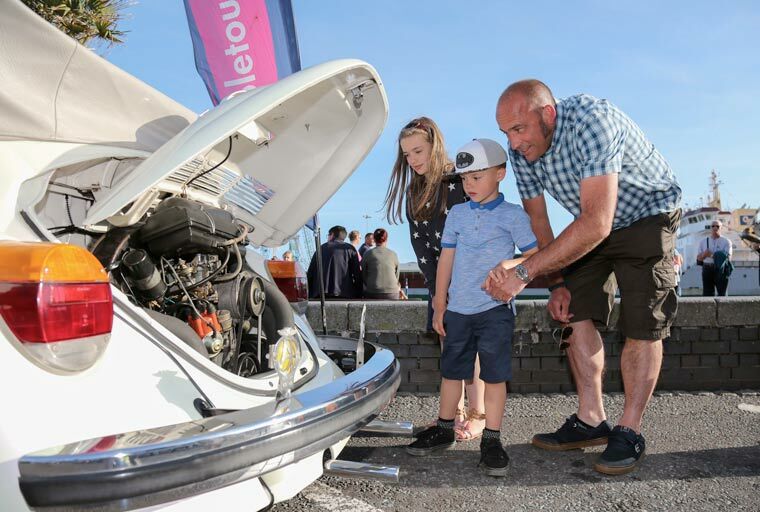 From 6pm, owners of the classic vehicles line up each week at the water’s edge as Poole Quay becomes the venue for car enthusiasts and spectators to get close to the vehicles of their dreams. Sponsored by Rockley Park, the themed car nights take place every Friday night in July and August and will feature a different marque each week. Each week, the car owners park up for free, displaying their vehicles against the backdrop of Poole Harbour and mix with spectators and enthusiasts before enjoying the restaurants, continental café bars and traditional pubs. 2017 will see exhibitions including Itallian Stallions, Minis, VWs and the Best of British pre-1983, plus a night dedicated to Lotus 7s in their Diamond Jubilee year. On 7 July as part of the Land Rover line up the Wessex 4×4 Emergency Response Team, a volunteer charity that provides support to the Emergency Services across Avon, Somerset, Dorset and Wiltshire, were at the event with their vehicle. The team provide transport in emergencies which are hard to reach or affected by severe weather such as flooding that need 4×4 support. Check out www.pooletourism.com for updates on Quay for my Car and all other events taking place in Poole.